Dr. Justin P. Martin is a plastic surgeon in Dothan, AL who specializes in aesthetic and reconstructive surgery for the face, breast, and body. He is double board-board certified by both the American Board of Surgery and the American Board of Plastic Surgery. Dr. Martin grew up in Dothan and has been educated at some of the most prestigious universities in the South. During medical school, Dr. Martin discovered his deep passion for plastic surgery. He was particularly attracted to the creative aspects of the specialty, and the opportunity to take care of patients of all ages and with a wide variety of problems. As a double board-certified professional, Dr. Martin is adept at both surgical and nonsurgical cosmetic care for men and women. With his artistic skill and keen eye, Dr. Martin creates personalized treatment plans that emphasize beautiful, natural-looking results. Some of his top procedures include breast augmentation, breast lifts, tummy tucks, lower body lifts, and facelifts. In addition, he offers several specialized dermal procedures including Mohs reconstruction, skin cancer excision, and scar revision. He is also expertly trained and highly experienced in administering injectable wrinkle relaxers and fillers for a refreshed and more youthful face. Dr. Martin completed his undergraduate education at Vanderbilt University in Nashville, TN where he graduated with honors. He then continued his education at the University of Alabama School of Medicine in Birmingham, AL. He was selected to continue his training at UAB in the department of surgery, where he completed a rigorous, comprehensive residency in general surgery. From there, he served his plastic surgery residency at the University of Virginia in Charlottesville, VA. After he completed his training, he elected to return to Dothan, AL to open Martin Plastic Surgery. Dr. Martin is widely known for his excellence, outstanding care, and compassionate bedside manner by both colleagues and patients. His work has earned him the "Honor Roll" recognition by Healthgrades and the title of "Top Doctor" by Real Self. As an exemplary professional, he is a member of the American Society of Plastic Surgery and the Southeastern Society of Plastic Surgery. These are prestigious organizations that consist of high-level experts to help advance the field of plastic surgery for patients worldwide. Mericli A.F., Martin J.P., Campbell C.A. “An Algorithmic Anatomical Subunit Approach to Pelvic Wound Reconstruction.” Plastic and Reconstructive Surgery. 137(3): 1004-17, 2016. Martin J.P., Wang J.S., Hanna K.R., Stovall M.M., Lin K.Y. “Use of Tranexamic Acid in Craniosynostosis Surgery.” Plastic Surgery. 23(4): 247-51, 2015. Constantian M.B., Martin J.P. “Why Can’t More Good Surgeons Learn Rhinoplasty?” Aesthetic Surgery Journal. 35(4): 486-9, 2015. Martin J.P., Chambers J.A., Long J.N. “Use of Radial Artery Perforator Flap from Burn-Injured Tissues.” Journal of Burn Care and Research. 29(6): 1009-1011, 2008. Tubbs R.S., Tyler-Kabara E.C., Aikens A.C., Martin J.P., Weed L.L., Salter E.G., Oakes W.J. “Surgical Anatomy of the Dorsal Scapular Nerve.” Journal of Neurosurgery. 102(5): 910-911, 2005. Tubbs R.S., Tyler-Kabara E.C., Aikens A.C., Martin J.P., Weed L.L., Salter E.G., Oakes W.J. “Surgical Anatomy of the Axillary Nerve within the Quadrangular Space.” Journal of Neurosurgery. 102(5): 912-914, 2005. Dr. Martin is married to his lovely wife, Kate. They have two beautiful children, Parish and Helen. They love living in the Wiregrass area and serving their local community. When not in the office, Dr. Martin and his family take advantage of every minute they get to spend together making new memories. They especially enjoy spending time at the beaches of Panama City and Destin, FL. 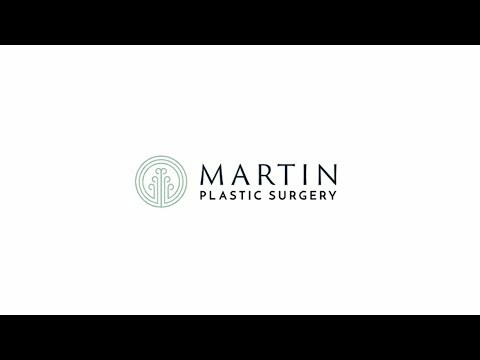 Dr. Justin P. Martin is a double board-certified professional who specializes in plastic and reconstructive surgery for the face, breast, and body.